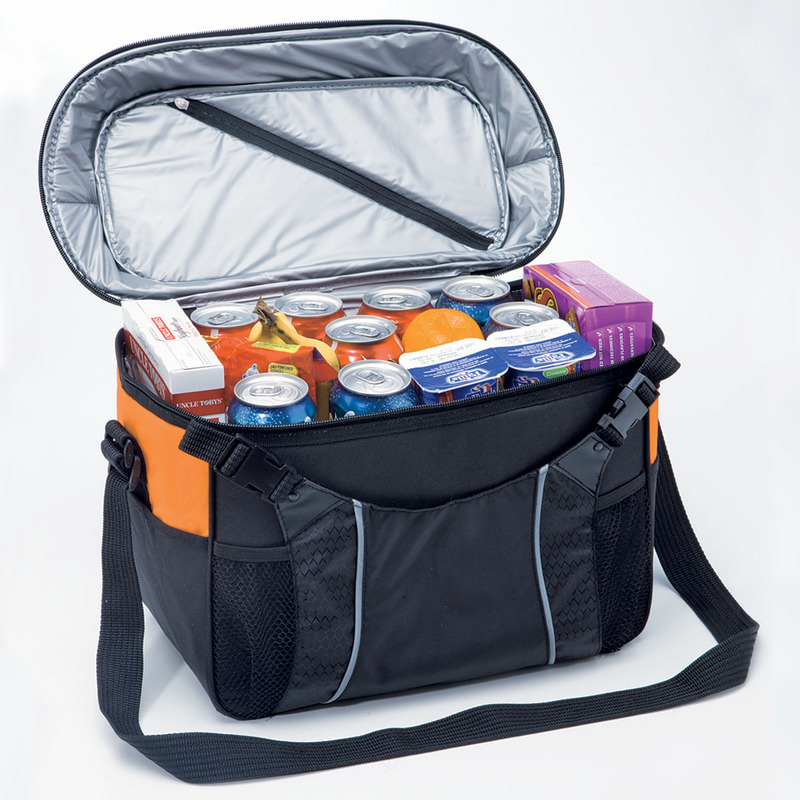 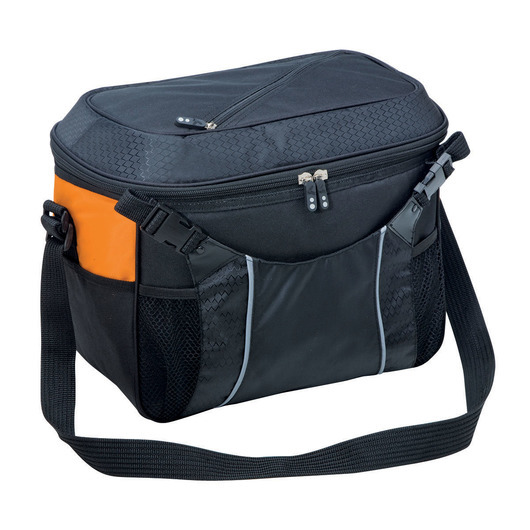 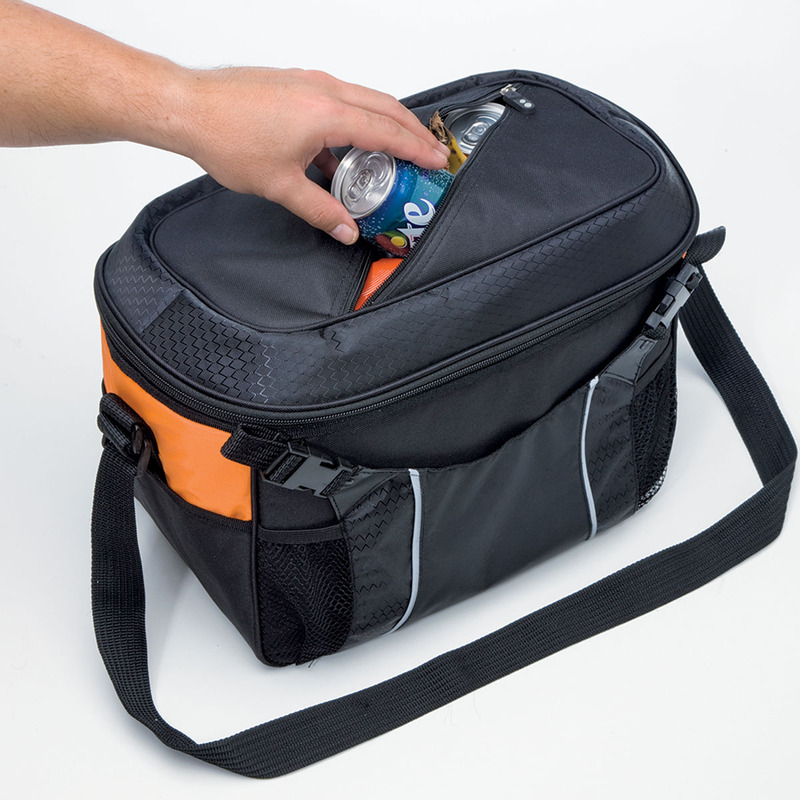 An excellent addition to any family outing, this cooler bag is designed for convenience. 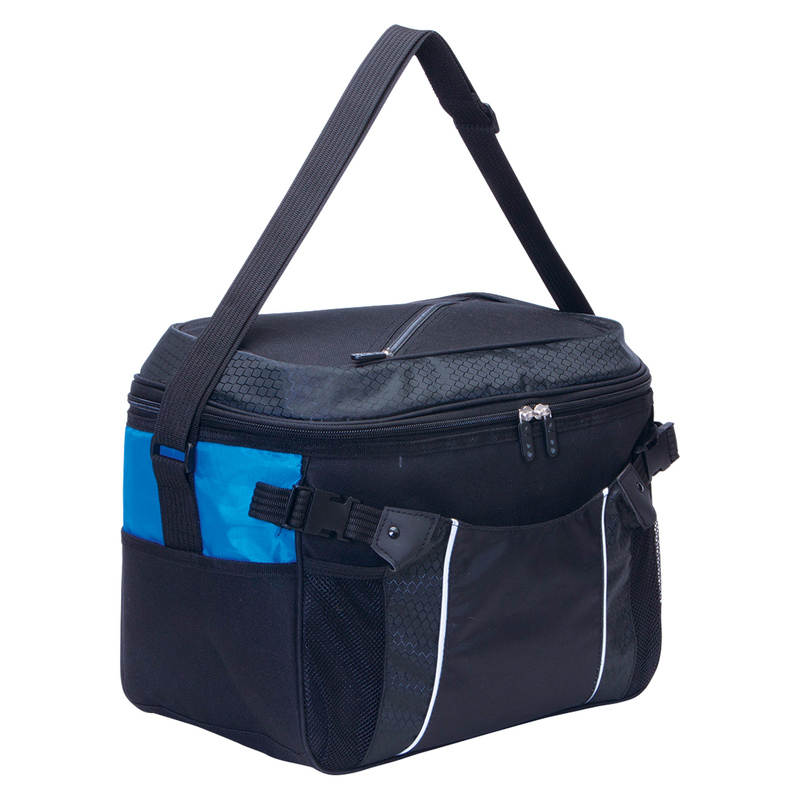 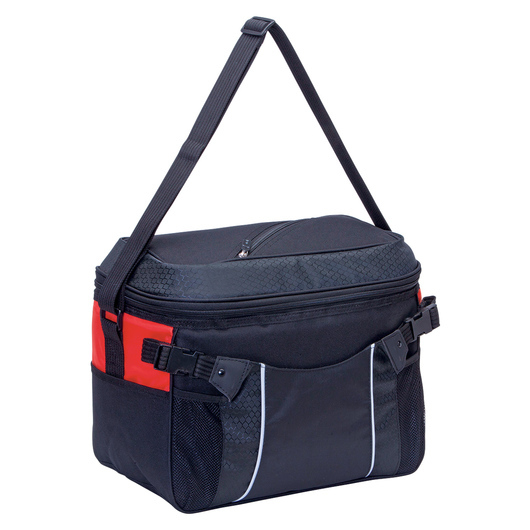 Perfect for family occasions, this functional cooler bag is a vital addition to the everyday household. 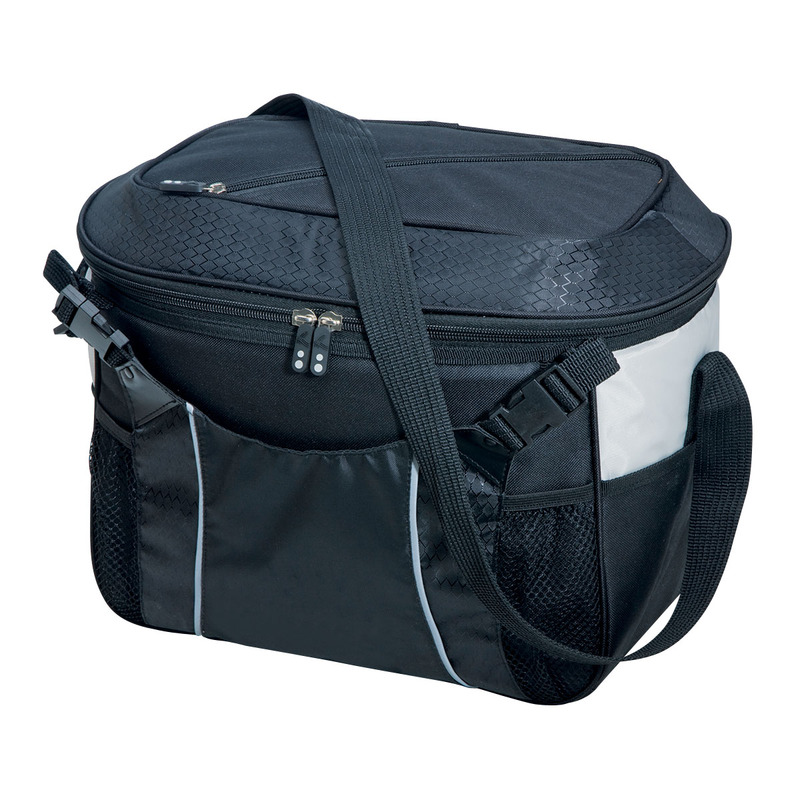 Made from 600D/420D polyester with a PVC lined main compartment for insulation, it's compact size only adds to the convenience. It's practical design not only features 24L of storage capacity, two side pockets and double zippered lid but also hexagonal ripstop feature panels, mesh and reflective piping on front flap and an adjustable webbing shoulder strap.